Medical expenses are a huge factor for American families today, including dental and oral health services. Finding inexpensive dental care, that is also high-quality, is very important. 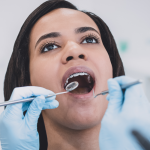 According to the American Dental Association, studies in 2013 showed that dental care had the largest cost barrier as compared to other medical services. It was also ranked first in services patients were likely to cut. 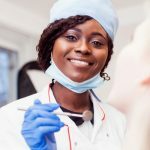 To help your family manage dental costs, below are four ways you can save money on dental care and find affordable options. Do as much preventative care as possible. This may seem obvious, but good hygiene habits now lead to less money spent on cures and treatments later. Paying for cleanings yourself can help, but regular habits like brushing, flossing and a dental-conscious diet all contribute towards your savings. Use a dental benefit plan. Dental benefit plans can cover regular visits to the dentist, preventative or otherwise. Many jobs offer dental benefit plans and even a Flexible Spending Account. 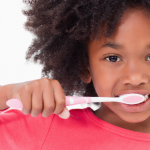 FSAs use pre-tax dollars to help make dental care less expensive. Search for low-cost dental facilities near you. There may be many options available in your area, like a free dental clinic for adults or a dental school holding trials and studies. Dental hygiene schools may also give care at a lower cost so hygienists gain experience. Consult with local organizations. A local clinic or similar facility can advise you on how to find inexpensive dental care. You can also ask a local or state governmental facility about cheap or free dental work opportunities and financial assistance programs. Non-governmental charitable organizations, like the United Way, can also guide you. Groups like these work with places that offer local low income dental care and less expensive alternatives. 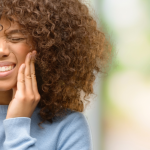 If you need help finding inexpensive dental care, contact Penn Dental Medicine at 215-898-8965 and make an appointment. 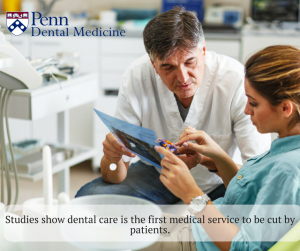 Penn Dental Medicine is a teaching clinic that offers patient-centered care supervised by university doctors. Low-cost care and studies may be available. Call or visit to see what options would be best for you.